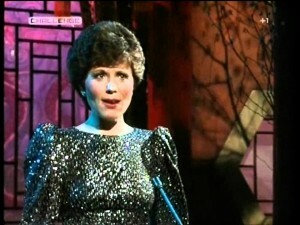 Lorna Dallas - Call on Dolly! 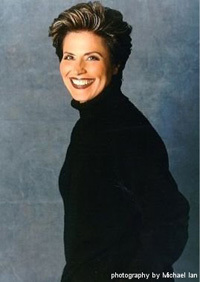 Lorna Dallas was with the International Company of the Metropolitan Opera from New York. 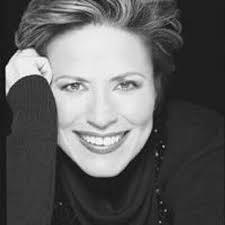 At the time, she was also doing backers’ auditions for Hal Hackaday and Don Gohman based on Henry James’ novel, The Ambassador. She was singing all the female roles and having great fun. She loves Hal and Don. The producers desired to produce the show in London, and rightly so. “Foolishly”, Lorna showed them her “diary” detailing her schedule and said she would go to London to do the backers auditions if they could work around her schedule. Three days later, they rang and told her to get her passport ready. She was leaving the following Monday; that fit into her time frame! She flew off to London and did the backers auditions in a small studio/dance center. The room was packed for every presentation they did with potential producers and what have you. The room was so crowded that Ray Cooke was seated at Lorna’s feet never taking his eyes off of her. When the presentation finished, he asked to speak with her. Thirty minutes later, she would be doing another presentation. She was singing eighteen songs plus dialogue! She told Ray she needed fresh air and to join her outside. They were walking in Covent Garden and he told her that they were doing Showboat. She told him that was wonderful, it was a beautiful show, and wished him much success. She apologized but had to get back inside and told him how great it was to meet him. At the next presentation, a similar thing happened. A guy sat at her feet never taking his eyes off of her. After the presentation, he presented himself as Ian Bevin and that he was associated with Mr. Fielding, the producer, with the upcoming production of Showboat. She told him that she had spoken with Ray Cooke and, once again, wished them much success. The week went by with numerous presentations of these backers auditions. Lorna was practically brain dead by the end of it all. The last morning she was in London, after these presentations were over, she was running around London being a tourist. She was in Harrod’s and thought she should reach her London agent to tell him goodbye. She got through to his secretary who said, “Miss Dallas, we’ve been trying to reach you all morning! Mr. Fielding wants to see you at one o’clock.” At this point, it was about twelve thirtyish. Lorna had already packed in preparation of catching a three PM flight back to New York. 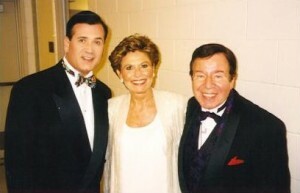 The following day, she was flying to Montreal to work with Bob Hope to do some shows. She told the secretary that she would have to tell Mr. Fielding she would be late. Lorna could hear the secretary practically drop the phone. Lorna dashed back to the hotel. She had not checked out by this point. She took a quick shower, grabbed music out of her case, changed clothes, ran down stairs and ran into Don Gohman in the lobby, told him he was going with her, and they were off and running. In the cab, she told him that Mr. 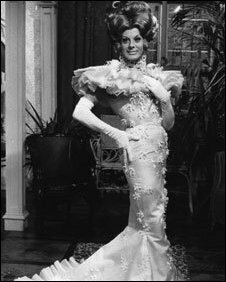 Fielding was interested in seeing her for Showboat, which she thought was bizarre. Someone came out and said, “Miss Dallas? Right this way…” She walked in and Ray Cooke and Fielding were both there and she sang. They then asked if she knew You Are Love. They told her they had the score. She looked at her watch and said, I do really have to go! I have a plane to catch and I’m truly sorry.” They asked her if she would read from the script and she told them it would be a very cold reading. She ran a page of dialogue and Mr. Fielding runs out after her as she tries to get to her taxi chattering away. She tells him, “Mr. Fielding, it really has been nice meeting you and I wish you much success.” Don Gohman is wondering what the hell has been going on. They laugh all the way back to the states at the absurdity of it all. Six weeks later, Lorna gets the call at six AM in New York. It was her agent telling her that they wanted her for Magnolia. They wanted her the moment she walked in. They couldn’t hire her right away because of British laws. They HAD to exhaust their search for a British Magnolia before they could even consider Lorna. They had auditioned eight hundred women. They had to wait until every name had been ticked off before they could ring her. She got the call and two and a half weeks later, she returned to London. The rest they say is history. 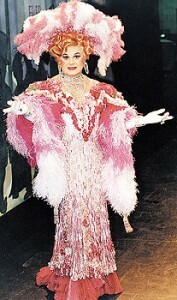 She opened in a record breaking production of Showboat. This was at the Adelphi Theater and she was there for two years and three months. Mr. Fielding kept renewing her contract and work permit. It was tough. She had to really stick with the labor laws, but she fell in love with London. She felt at home there. 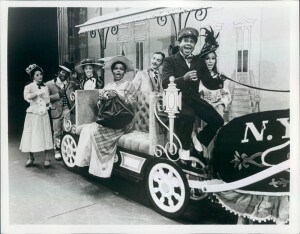 Kenny Nelson was also in this production. 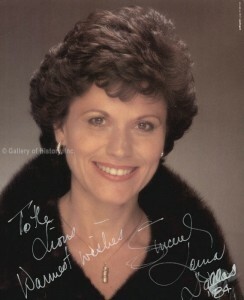 She had Dame Anna Neagle’s old dressing room. 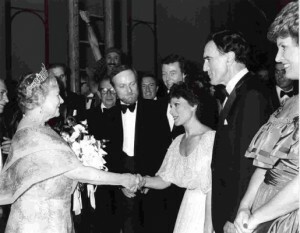 She was a popular British stage and film actress and singer. 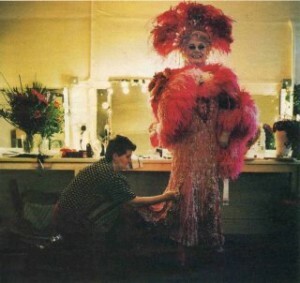 When Lorna first went into the dressing room, she couldn’t see anything because Dame Neagle only had 25 watt bulbs! It made Dame Neagle look wonderful but Lorna couldn’t see a thing, so her first order of business was changing all the light bulbs! Lorna thinks she end up blowing the system in the theater. This was all in 1971. 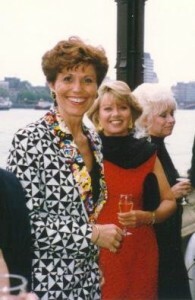 Lorna would go on to do several BBC programs and various other gigs in London. 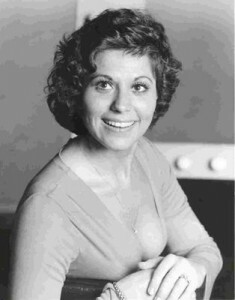 She did a number of shows, Side By Side by Sondheim, Kismet with John Reardon (who came over to do it along with Joan Diener). 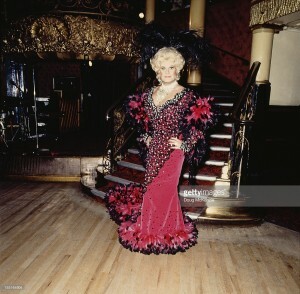 On the opening night of Showboat, Lorna received the most incredible bouquet of flowers. It was enormous, large enough to cover a coffee table ! The note read, “My darling, Welcome to London. I hope you have a long and healthy and happy run.-Danny LaRue”. 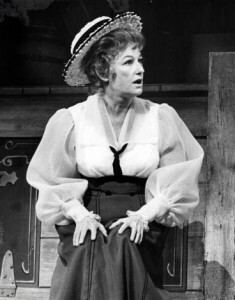 She had never met Danny, but, when she was in London doing the backers auditions six weeks prior to Showboat, she tried to see as many shows as she could in the evenings. She had gone to the Palace where he was doing his show. She had never seen anything like it before. It was an incredible evening. It was wonderful and she thought it would be impossible to describe to anyone. 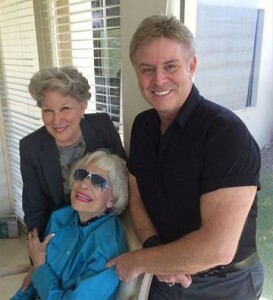 After her Showboat opening, she and Danny met a couple of times. 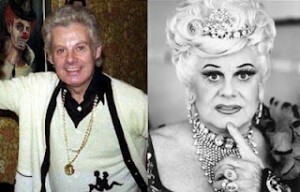 He was divine, even inviting her to his mansion a few times. Once, there was a whole weekend of partying. Liberace showed up in a white Rolls Royce. Danny went out to meet him all in black. Liberace got out of the Rolls all in white. That was just one in a wonderful sequence of events. 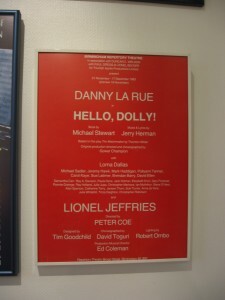 One of Danny’s greatest desires was to star in Hello, Dolly! He fought to be able to do it. Eventually, he did do it at the Birmingham Repertory Company. One can’t help but think of her when they think of Dolly. Danny, Lorna has to say, had such heart in this piece. When they were opening in Birmingham, he was so very truthful. People’s hearts would break to see him in this production. He was not doing, “Watcha mate!” He was not his Danny LaRue at all, he WAS Dolly. It was a completely SRO run. People were sitting on the steps to see this show. That was a two month run. The idea was that they would finish the show there and a tour was to be arranged. Suddenly, The Prince of Wales Theater in London became available, unexpectedly. A decision was then made to go straight in with no tour. The Prince of Wales Theater is right off of Leicester Square, a pedestrianized square in the West End of London. Danny had played this theater before and loved it. There was a great connection there. They virtually left Birmingham and went straight into the Prince of Wales. 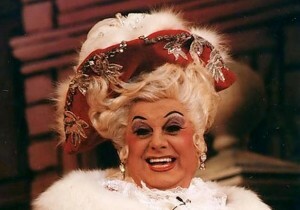 From being so very truthful and heartbreaking in Birmingham, suddenly in London, he felt he needed to be DANNY LA RUE! He changed drastically. He was worried about losing his audience. 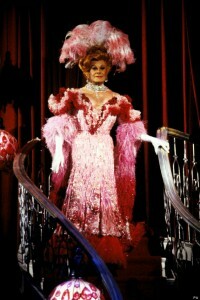 Interesting side note is that when Phyllis Diller played Dolly on Broadway, her fans were disappointed that she didn’t resort to her “shtick”. It was important to her to play it as truthful as she could. Unfortunately, that is not what her fans desired. Audiences stayed away. She was the weakest Dolly as far as the box office was concerned. David Merrick used to stand in the back of the theater and count the empty seats. With Danny, it was the opposite. He panicked. Peter Coe was the director. Peter Coe was a British director who reached a career peak in 1961 when he had three hits running simultaneously in London’s West End -The Miracle Worker,’ ”The World of Suzie Wong” and ”Oliver!” The reviews were wonderful in Birmingham. They were a happy company. Danny was holding court night after night. It was everything he dreamed it would be. Everyone thought this was a great time. Suddenly, they were in London and Danny thought he had to play “Danny” there. It became very awkward with Coe at the helm. He truly didn’t care for the show. As a matter of fact, he missed many rehearsals. Whether he was fired or walked, Lorna has no idea. Shortly after that, he was killed in a car accident. Lorna had a run of the play contract. Everyone thought the show would run longer than it did. Danny had never had a show that was not a success until this. It was not a success at the Prince of Wales Theater. There were many factors in addition to Danny’s panic. There should have been more of a build-up publicity wise. It was not done the right way. Peter Coe also did not help matters. Peter Coe, like David Merrick, stirred up anxieties. 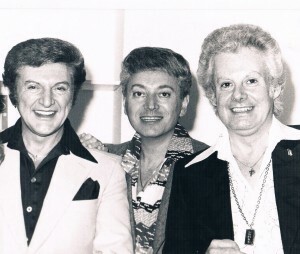 ERIC-ZEE, LIBERACE AND DANNY LA RUE BACKSTAGE AT THE ADELPHI THEATRE. Danny was pretty much lost at sea. Danny and Lionel Jeffries are sitting out in the theater trying to figure out how they’re going to play scenes. They started changing everything. There was almost a British pantomime feeling about the entire production. Lorna was now in an awkward spot as to how to play Irene. Lionel and Danny virtually directed this “new” show. They were yelling out lines in the British pantomime tradition. Lorna continued to try to play Irene as truthful as possible. She felt that if she started going in their direction, she was going to be a caricature. She couldn’t do that with that role with the songs she had to sing. To her, she HAD to be truthful in order to sing It Only Takes a Moment. She had to anchor herself and go backwards to hang on to that truthfulness. She had to believe that what she was saying and singing was the truth and that this man was truly Dolly Levi! She was working with vocal coach Ian Adam at the time. She worked with him a lot before even heading into rehearsals. Ian’s advice was for her to go out on stage and be Lorna Dallas. He was advising her to be genuine Lorna. She didn’t waver from that. IF she had a second chance at this period of her career, she would hope that she would have the guts to go to Danny and ask him to go back to the Birmingham Dolly, psychologically. The reviews in Birmingham were wonderful. 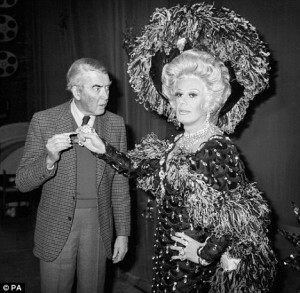 Audiences were coming to see Hello, Dolly AND Danny La Rue. He had a huge fan base. Danny started out from opening night with his new approach. Danny HAD to be Danny for whatever reasons. Whether something was said to him in Birmingham or not that worried him, Lorna does not know. So many people were coming to see the show and there were great expectations. People were probably asking him why he wasn’t doing such and such and he began to second guess his approach. It was the old crowd that was so used to seeing him a certain way. They were expecting those old routines. It surprised people that he played it so straight. 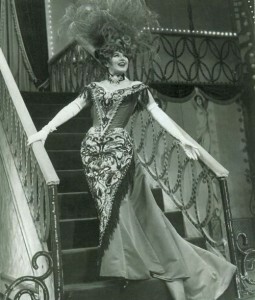 The first preview in London was before an audience of the Variety Club. Those are the bigwigs, a lot of money and donations. The evening cost many of the patrons around five hundred pounds for charity. They are also the most boring audiences. Carol Channing once said benefits are the hardest audience because they are there to see each other as opposed to who is on stage! Danny was not getting the responses back from the audiences that he was used to. He was used to an audience that would give him back a response…a lot. That is the way of British pantomimes. The audience yells out to the actors on the stage. The audience was not unfolding that way and panic set in. It didn’t help matters that this was such a “sit on your hands” audience. It was not an appreciative audience. It rattled Danny a bit. It was an uncomfortable evening. Lorna also knew many of those people sitting out there in the theater. One fun thing did happen that night. At the end of the party, Danny showed up all in white. Lorna had gotten a custom made dark suit. Danny turned to Lorna and introduced her as his leading lady. 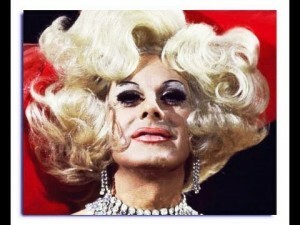 She rebutted, “No, he is my leading lady!” He was not a drag artist. 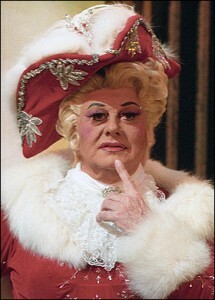 He was not a female impersonator. 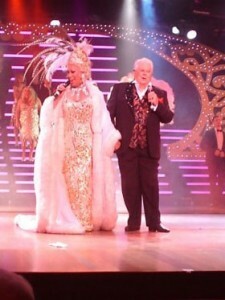 He was a great entertainer dressed in beautiful frocks. Lorna once said to Danny she was never going to try and out dress him, that she would never succeed. The reviews in London were pans. Danny tried to put a brave face on it. He had never received reviews like this before. With Danny being nervous, that trickled throughout the entire company. At this point, no one felt as if they were in a show that would have a long run. This was not going to be a happy experience. They ran about four months. 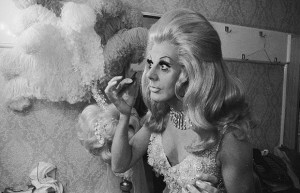 In Danny’s autobiography, From Drags to Riches, he recounts that David Merrick came to ask him to appear in the Broadway Company. He was unsure that his brand of humor would not translate to the states. He declined with a heavy heart and said it was one of the true disappointments of his career. He did perform in Canada, with his act, but never in the states. 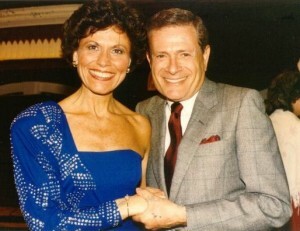 Lorna states that Danny had one of the largest kindest hearts of any man she ever met. He was also adorable and very generous. Lorna would defend him to her dying day for that fact alone. If he had stayed as he was in Birmingham, this would have been a tremendous hit. He was also so genuine and gracious. They remained friends until his passing in 2009. She did concerts at the Barbican, London’s largest multi-arts and conference venue presenting a diverse range of art, music, theatre, dance, film and creative learning events, with Danny. He was always beautifully dressed. He would come out at the end of the concerts, a Cole Porter, Noel Coward, Ivor Novello evening, with the London Symphony Orchestra, immaculately dressed in white tie and tails. It took her breath away. 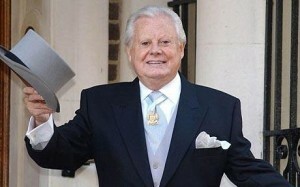 No one wore white tie and tails better than him. He was preening. He was a beautiful man. Danny asked Lorna to go to Australia with him to do a concert. It was virtually the same concert and it was televised at the beautiful opera house in Brisbane. They had a fabulous concert there that went very well. They did several together. From the very beginning, he came in totally prepared. He knew the script inside out and backwards. He was always on time. He was very precise. He was enthusiastic about it all. 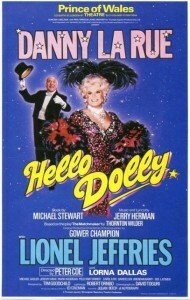 Danny WAS the only man to play Dolly in London. He was also the third. 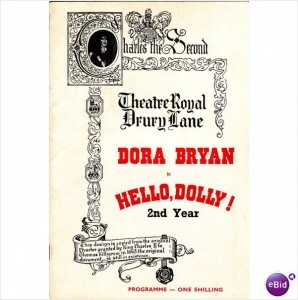 The two previous Dollys were Mary Martin who was succeeded by Dora Bryan. Lorna and Dora had worked together. When they worked together, Dora and Lorna always found themselves talking about Tibetan Terriers. Dora was a ferry scatty type of character, so the way she played her was somewhere between Carol Channing and Margaret Rutherford. She had a nervous energy about her. 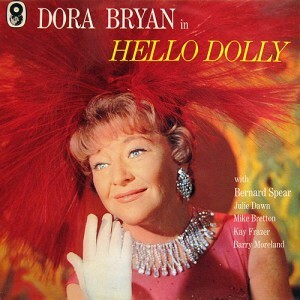 She is one of Jerry Herman’s favorite Dollys. 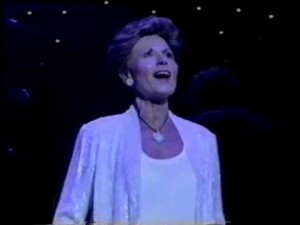 She was a wonderful performer. 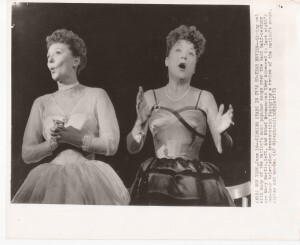 Lorna did not see Mary Martin’s Dolly. 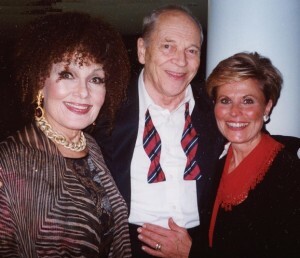 The ethnicity element brought in a whole new demographic as well that grew to love Jerry Herman’s music who might not have heard it otherwise. It was fascinating to have an all black cast take over a previously white company, the first time anything like that had ever been done. It worked. She was absolutely wonderful. It is an incredible show and Jerry wrote some magnificent material for it. The show still succeeds because of the truthfulness of Jerry’s music. It has something that women of various ages can identify with. There is also something for men. It is the quality of Jerry’s music, as well. The Waiter’s Gallop is one of the most brilliant moments in the show. He can go from that to writing I’ll be wearing ribbons down my back this summer or It Only Takes a Moment and then there is all of Dolly’s material. Some of it is heartbreaking. It turns on a dime, yet it is truthful, a word that Lorna keeps returning to. It is a warm show. Lorna feels it would be fun to play Dolly now. Lorna also feels it is time for a Broadway revival. 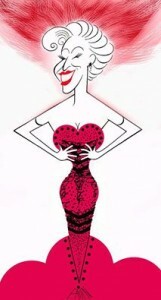 She feels that Bette Midler will make a great Dolly. 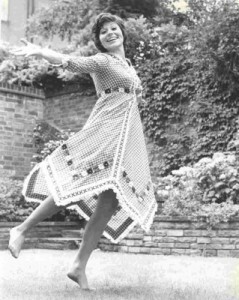 She also feels Chita Rivera would make a great Dolly. it dissipate with tensions and everything else going on around you.” There were a lot of tensions and Lorna learned to keep her little space around her nice and solid. Closing night was the only time Lorna saw Danny crumble. Yet it was very gracious, “I did it! And I’m glad I did it!” She saw his shoulders go down. It was very sad; she felt the wrong people were influencing him. It had been a dream of his to do this for so many years. It was an exciting time for Lorna. It was 1982. She and her husband Gary had just gotten married, perfect for Irene Molloy. She felt at the time that they were going to London that she would be returning to the West End in a show that would be a hit. Danny should be remembered as an outrageous character but with a huge heart. When one walked into a room where he was, that person would KNOW Danny was there. After his shows, the champagne would be flowing and he would hold court with the greats of the world. Life with Danny was never dull!